NEW YORK, December 12, 2018	(Newswire.com) - With the beauty industry booming, skin care, in particular, is enjoying something of a revolution, according to luxury spa and beauty brand Infinite Beauty which today boasts locations across the U.S., including sites in Florida, New York, California, and Maryland. "Sales of high end, top quality skin care products are up by 14 percent in the U.S. this year," explains Infinite Beauty's vice president of operations, Eric Inbar, referring to findings from Port Washington, New York-based market research company NPD Group. Last year, NPD Group ranked as the world's eighth largest market research company according to the independent American Marketing Association Gold Report Top 50. Steadily gaining what Inbar calls 'added and significant' momentum, the industry is currently booming, with this year's 14 percent increase in beauty and skin care product sales a marked improvement over 2017's 9 percent growth and just 3 percent growth in 2016, according to further NPD Group figures. This year's numbers put the value of the U.S. skin care industry at $1.5 billion. "Cosmetics represent a $2 billion industry currently," points out Inbar, "although growth in this sector cannot match that of skin care at just 4 percent in the last year, compared to 14 percent in our own industry." Social media, it has been suggested, is mostly to thank for the recent growth in skin care product sales and service offerings. "Alongside more general health and wellness, well cared for skin is now something of a beauty status symbol among social media aficionados," suggests Inbar, "with the natural, 'glowing' look particularly highly coveted." New beauty standards, he says, have proved to be a significant factor in the recent explosion of the skin care market, with the appearance of truly healthy, glowing skin now widely lauded by social media users, particularly on Instagram and YouTube. "The trend toward skincare, wellness, and overall health, over previously highly popular makeup-heavy looks," Inbar continues, "is expected to carry on into next year and beyond." "The growth curve of skin care is outpacing makeup at every step and in every market right now," adds the vice president of operations, wrapping up, "and at Infinite Beauty, we cannot wait to see what the future holds." In line with the brand's commitment to unparalleled skin care, customer service, and client satisfaction, Infinite Beauty now offers a range of VIP membership cards, application for each of which is free of charge and attracts no annual fee. 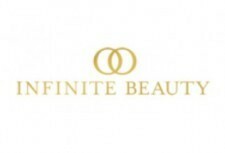 Currently available Infinite Beauty VIP membership cards include the Infinite Beauty VIP Member Technology Card, Infinite Beauty VIP Member Black Card, Infinite Beauty VIP Member Diamond Card, Infinite Beauty VIP Member Platinum Card, Infinite Beauty VIP Member Gold Card, and Infinite Beauty Plus+ VIP Member Gold+ Card. To learn more about Infinite Beauty, or to find out how to sign up for one of the brand's VIP membership cards, providing access to a range of exclusive benefits, special offers, and more, please visit http://www.infinitebeautyusa.com.